The region Burgundy is located directly in the centre of France. Amongst other things Burgundy is well-known for its delicious wine. The entire vineyard area covers 24000 hectare. 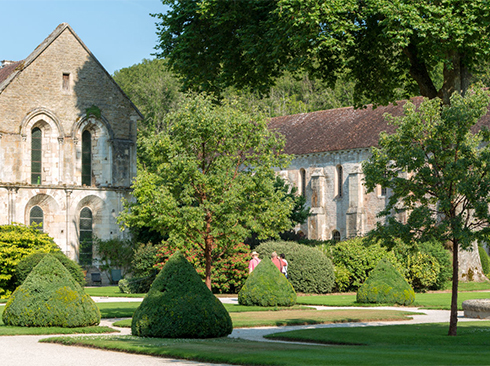 Burgundy is not only a destination for vinaceaous lovers - countless churches, cloisters and castles are worth visiting as well as the beautiful capitol Dijon. Burgundy's incomparable landscape is marked by the great variety. Vineyards, grasslands, rivers, forests, gentle hills and the Morvan low mountain range with its thick woods, steep gorges and deep blue lakes form the beautiful scenery. Leisure facilities are as divers as the landscape. Hiking, horseback riding and cycling are only a small part of the possible activities in Burgundy. Dijon is famous for its correspondent mustard which is still produced locally. The city has once been the ancient capital of Dukes of Burgundy which were great patrons of the arts. Dijon as well-known centre of music in the 14th and 15th, attracted famous musicians and artists. They left their marks on the city especially in architecture, painting and sculpture. Today, Dijon is a cosmopolitan university town with a beautiful old town centre, numerous cultural attractions and modern outskirts. The Cathedral, the Eglise Notre Dame, the Musee des Beaux-Arts as well as the Duke's Place that was built in the twelfth century and provides today's town hall are worth visiting. Dijon is also well-known for its fine French cuisine and offers a large choice of restaurants for all tastes. While walking through the roads of the old town, visitors should taste the local delicacies which are prepared according to traditional methods such as mustard, cassis or spicy bread.